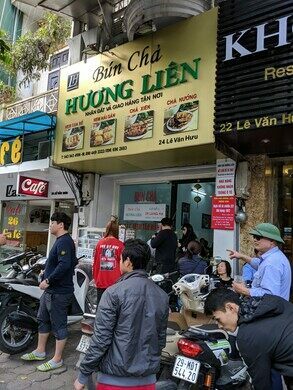 In May 2016, the Vietnamese noodle store Bún Chả Hương Liên went from relative obscurity to being on television screens all over the world, after two of the world’s most famous men chose it as their dinner spot in Hanoi. 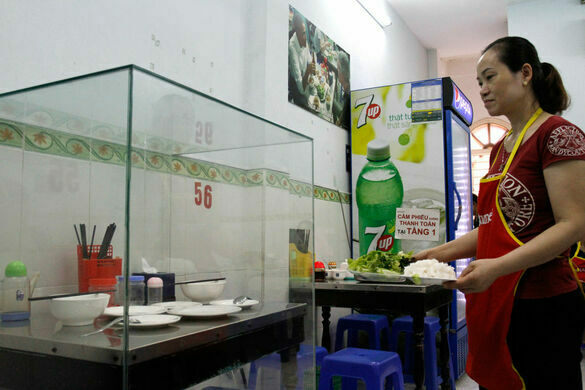 Fowl, love and death in Vietnam. 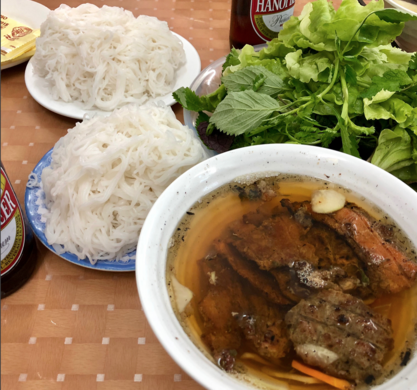 Anthony Bourdain and President Barack Obama came for the slippery noodles or fragrant pork patties—but the world tuned in not for the food, but to see these two icons sit on blue plastic stools and drinking chilled bottles of local beer. Today, the restaurant continues to thrive. 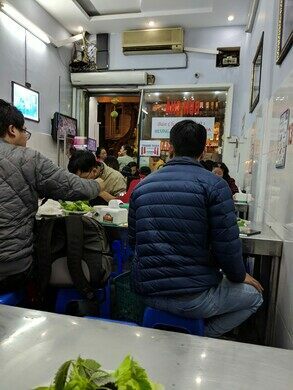 It looks much as it did when Bourdain and Obama sat down to eat there, but there are a few key changes. 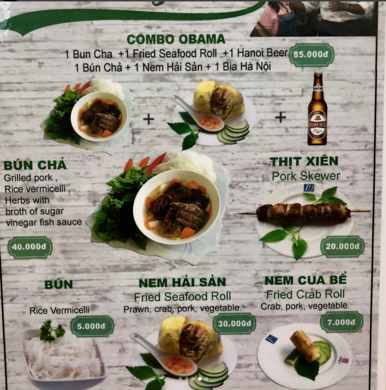 Guests hoping to relive the experience can now order a “Combo Obama” from the menu: bun cha, a seafood spring roll, and a bottle of Hanoi beer for a total of 85,000 VND, or about $3.60. But what they can’t do is sit down at that same table, in those same blue plastic stools. The restaurant’s encased the entire set-up in glass for posterity. (From time to time, they also pop a decorative plant on top.) 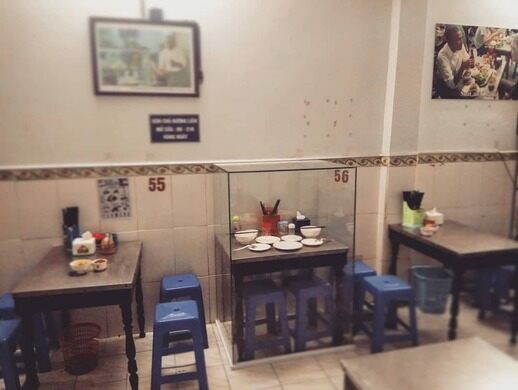 The metal-topped table’s still set, as if waiting for the return of its diners, ready with plates, bowls, chopsticks, and beers.